For Admin Use: Non-registered members who attended. Presentation overview: The crux of the presentation are changes in the law, including tax laws, the nature and mobility of our clients and their families, and the increased importance of digital assets that affect the way we view our client’s estate planning needs. Before joining Golan Christie Taglia, Barry was a member in the firm of Stahl Cowen Crowley Addis LLC, and was chairman of their trusts and estates department. 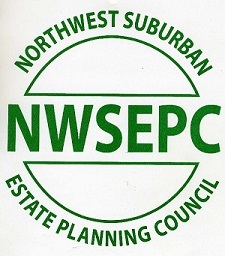 From 1980 until 2002, Barry managed his own law firm, Barry P. Siegal Ltd.
Barry has written and spoken extensively to professional and civil groups on issues such as: Estate Planning in an Uncertain Environment; Estate Planning for the Non-Traditional Family; Asset Protection Planning; and Business Succession Planning. Barry was an adjunct professor in Estate Planning at DePaul Law School. Learn more. Registration & networking begin at 6:00 pm. Presentation & dinner begin at 6:30 pm. Please register online or to download a registration form, click here.